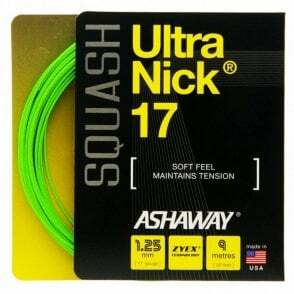 The Ashaway UltraKill 17 racketball strings set (Also available in a reel) are constructed from a unique Zyex Multifilament core. 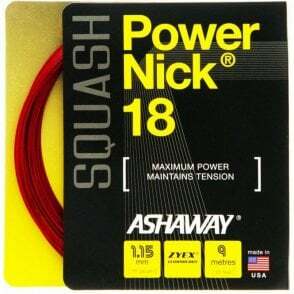 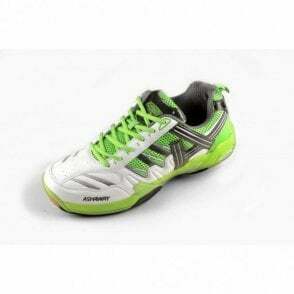 Ashaway UltraKill racquetball string offers a fine, powerful, lightweight and durable string, just like PowerNick, but it also offers a soft feel. 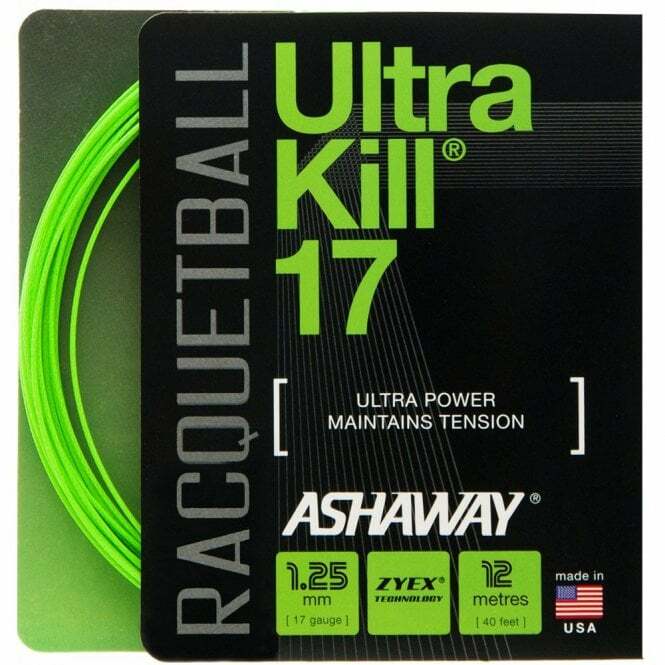 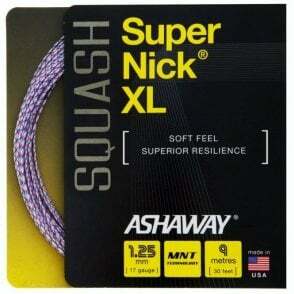 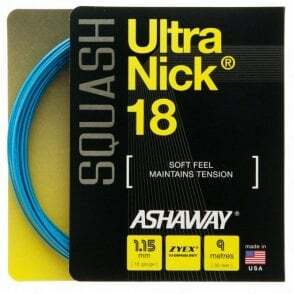 Ashaway Ultrakill 17 racquetball string is 1.25mm in diameter for superior durability and string life. 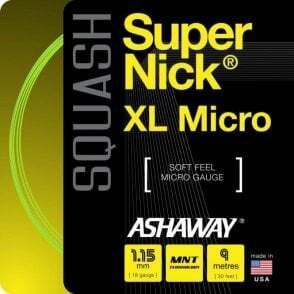 Textured surface increases ability to spin and cut the ball.